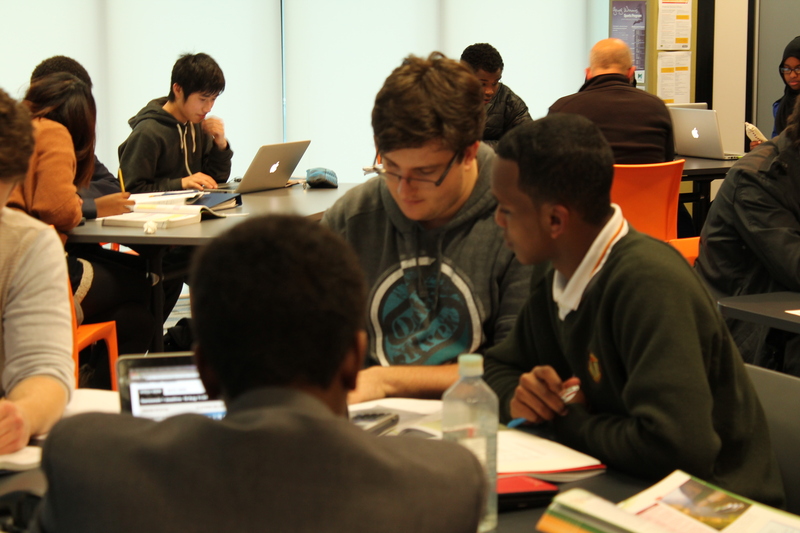 Students who choose to study at The Huddle are fortunate to have support from tertiary students from the Faculty of Business and Economics (FBE) at the University of Melbourne. This photo was taken in July last year when the Maths Clinic began. FBE students made learning lively with their enthusiasm, ideas and passion for the all things relating to number, as well as their genuine interest in helping others with their learning. The FBE made a fabulous video about Maths Clinic and have sent new FBE students to us – they start this week and I look forward to meeting them and seeing how they inspire and encourage our current student group. There’s nothing better than learning from someone who is passionate about the topic!